Summer has finally arrived and my sister and her daughter, Kira, arrived in Northern Michigan for a summer visit with me in Traverse City. To celebrate July 4th we gathered with friends who treated us to a day out on their boat with lamb tacos and wine. We dropped anchor off Power Island and enjoyed the great weather, being together and the freedoms we are so fortunate to enjoy. Later we headed back to the beach to launch our One Design and play some Bocci Ball. There wasn't much wind but I managed to get a little "session" in. Two gal friends were interested in learning to windsurf, so I took them out "tandem" and gave them a taste of what it's all about. They loved it and I think there'll be more lessons this summer. Sharing food, wine and windsurfing with friends, la dolce vita. A few days later Tara, Kira and I loaded ourselves into our van and drove further into the Great Lakes to visit our folks on Lake Huron. Their place is on an island so they have a small sailboat (called a "JY"), a few old One Designs and a kayak. 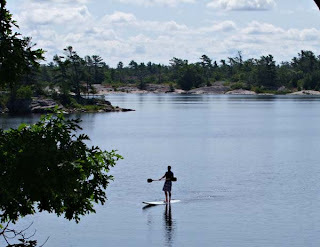 I've been reading a lot about Stand Up Paddling (SUP) and thought this would be the perfect time and place to try it. The Island is remote and there's no place to rent a SUP. Yesterday it was beautiful & calm so I brought a One Design down to the shoreline and took a paddle from the kayak to do my own Redneck Stand Up Paddle (RSUP) version of SUP. It was a blast! I paddled around Cowen's Island, and because I was standing up I could see the rocks on the bottom and navigate around any shallows. I had the centerboard all the way down so the board was very stable and used my weight to help turn the board. Tara then joined me for a RSUP, this time we went down the Serpent Channel, and we returned later with great full body tans! Kira could tell how much fun we were having so she swam out, knocked me into the water and RSUP'd over to the next island to show the other kids and her friends her new toy. We watched as three young teenagers entertained themselves for hours with one Windsurfer board and a kayak paddle. As the dog ran by chasing squirrels, and hearing the laughter from the kids on the water, it was evident that we were enjoying summer. So I've been recording the history of Windsurfing's first decade. Hoyle & Diane (my folks) didn't want to "look-back" at what they had done, they said that they prefer to live in the "present". And I admire that perspective. But there's also much I don't know about how it all started. I was there and I lived through the history, but as a youth and I wasn't tuned into everything that was going on around me at that time in life. I had questions. And Tara & Matt (my older sister & brother) were no help, they were just as thin on the details as I was. I guess us 3 kids assumed Diane would write the story because she started the Windsurfer Association, and the association newsletter which eventually turned into WINDSURFING magazine, that then became WINDSURF magazine. She was an english major and has always had a fine way with words. This I thought was her calling, her destiny. Well, apparently she felt she had already fulfilled her destiny. A few years back, she declared one evening that she wasn't going to write the story and asked us to stop harassing her about it already. At that moment, you could have heard a pin drop. Wha...wha...what? Not going to tell the story of windsurfing? How they started something completely new, from the ground up. What does she mean that she's not going to share their story on the original Windsurfer, the One Design racing class and the business of manufacturing them throughout the world. This is the history of windsurfing and the story of following your passions, standing firm on what you believe in, while being at the center of the sport. It's also about business, the politics of the Olympics, and yes, patent law/litigation. Not to mention the personal journey of a husband and wife team reflecting on the good, the bad, the ups and the downs. There are experiences, stories and lessons that need to be passed along to future generations. And as I reflected about this, I began to realize that maybe I was wrapped up in the windsurfing years more than they were. Or maybe, I just didn't have all the information to piece together what it all meant. I had bits and pieces. I wanted more, I wanted the entire picture with all the details. I wanted to know everything about the one thing that dominated my life, and our family for some 20 years and beyond. I knew Hoyle & Diane hadn't purged the windsurfing years from their systems. Far from it, I believe they live with it everyday, and that their lives have been hugely defined by those years. 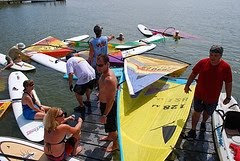 In speaking with them about windsurfing, the emotions are detectable, and thoughtfulness is deep. I've often sensed that they've had a hard time forgetting the battles and remembering the victories, but I don't draw judgement. 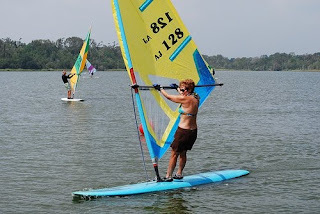 As a percentage, more of my life has revolved around windsurfing and the Original Windsurfer years than my parents. 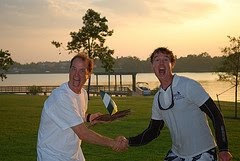 Hoyle and Diane had years of accomplishments before they started to direct their efforts towards windsurfing. 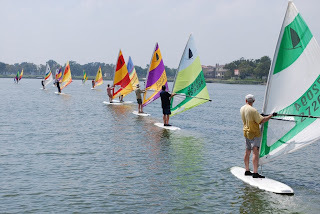 They had a life before windsurfing. The same wasn't true for me. 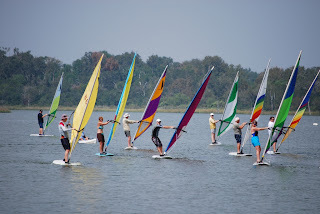 From as far back as I can remember, our family life revolved around windsurfing, life was nothing but windsurfing. 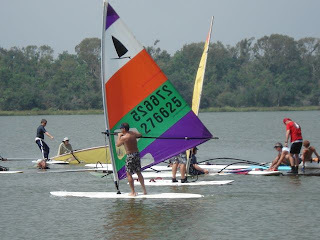 Everything in my world, and I expect my sister & brother's world too, revolved around windsurfing. That is what was important, dear to my heart, and our family. I never thought our family would revolve around anything else. 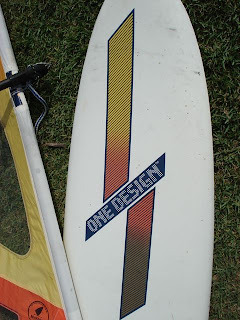 Now some 40 years later, I believe it is important to get all the pieces of the early days of windsurfing put together. 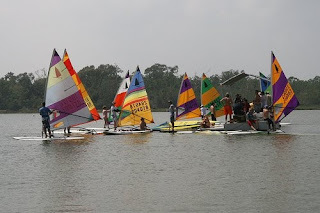 To know in more detail and document how windsurfing came together, and to share this history of windsurfing. Also to know our family heritage, especially because I enjoy windsurfing today but it's no longer a symbiotic relationship to our family. And to correct the misinformation that currently exists. I don't believe the story has been told. I should be finishing some of the story in the next few weeks, it will be at OriginalWindsurfer.com and there will be old photos, historical archives, stories and even some Original Windsurfer gear. There are other parts of the story that I haven't finished or even yet started, those will be posted in an on-going basis.